In every girl’s favorite thing, there is an untold story. Hai, I’m a lady of giraffe. 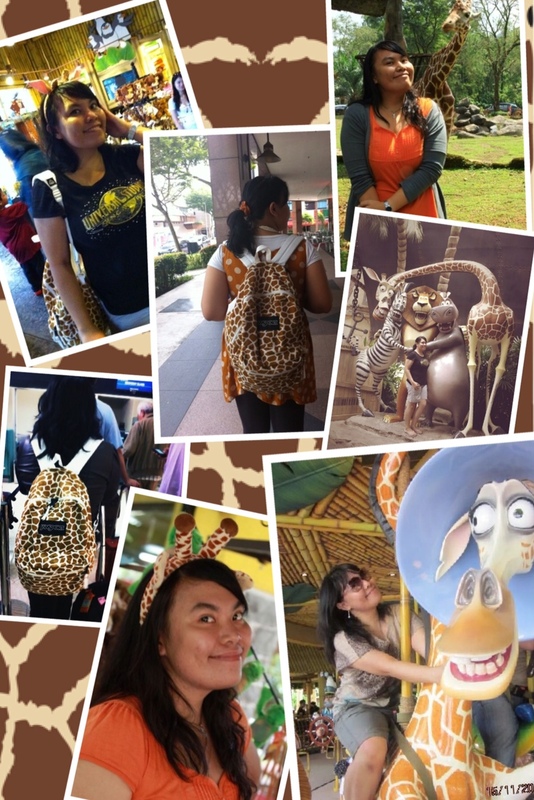 The lady who loves giraffe things so much. 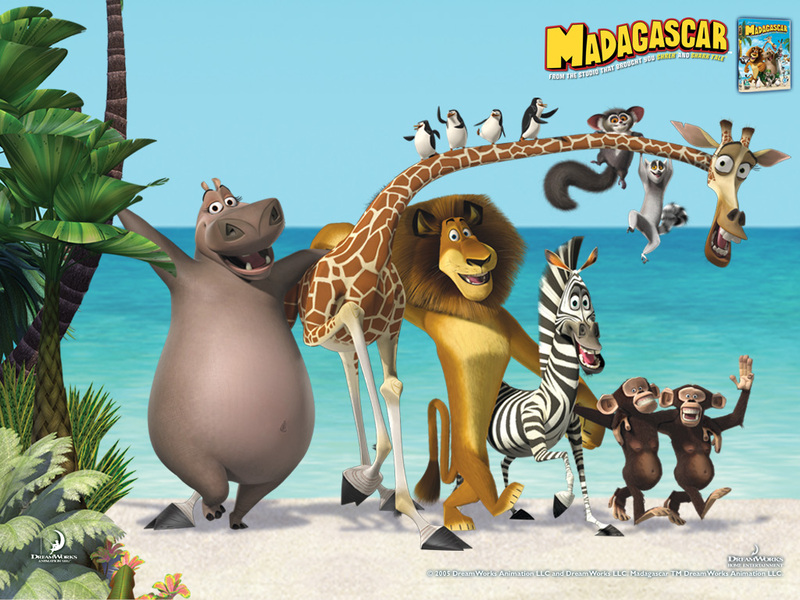 Started to like the tallest-animal-nowadays since 2004. 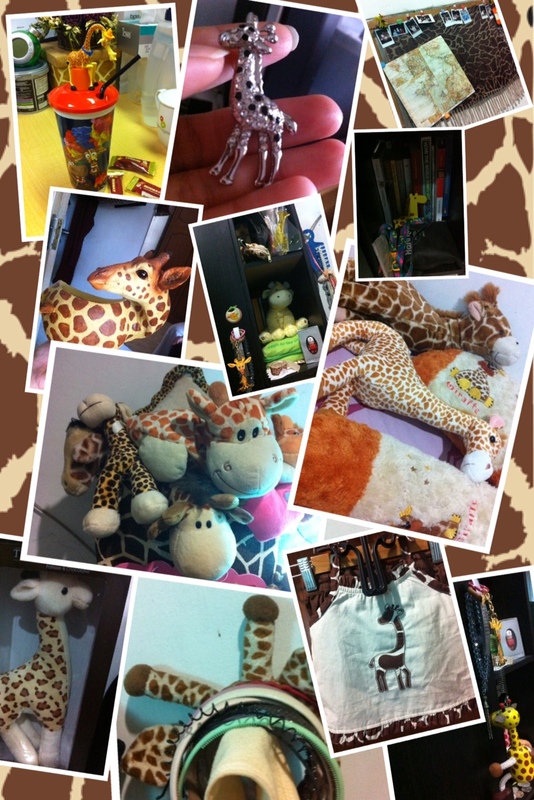 Until now, I’ve been collecting so many things about giraffe in my room, and also in my cubicle. But why should giraffe? Not many of you know the reasons behind. The main reason is silly. In 2004, I got a crush on a very tall guy. My friends called him ‘giraffe’. Now I feel like my cheeks are blushing and my neck is itchy. But there are also other reasons. 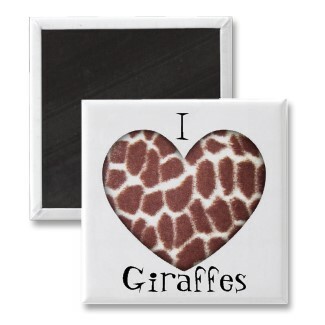 I may say them with a philosophy of giraffes. So many things we can learn from this long-neck animal. A giraffe, in order to live, he has to eat. There was no more food on the land so he ate the leaves. Because the tree was growing up continually then the giraffe must adapt with it (remember the Evolution Theory by Darwin?). This animal is just one of many example that teach us how to fight for life. Learn from a giraffe. Live your life to the fullest potential, and fight for your dreams. Almost everything on earth has an innate environment it can’t do anything about. It can’t change the direction of the wind, when it rains, among many other things. Yet, all living things still grow and thrive to their maximum potential in the wild. In life, not being the best you can be, always has severe consequences. And a giraffe allows us to learn how to grow. Life’s problems are sent to us to make us grow up, mentally and spiritually. A giraffe, with all that height, comes the advantage of being able to see predators from great distances, especially out on the open grasslands. But vigilance is just one of a giraffe’s defense mechanisms. When attacked, a giraffe will use its large powerful hooves, and kick at its enemy. And a kick from a giraffe is no laughing matter. They have been known to sever lions’ heads. So why don’t we learn from him, in a way of solving a problem. If something happened on his habitat, a giraffe would use his long neck to listen and look around. He would observe first. Identifying first, he doesn’t take any decision in haste. But if he’s really sure that there are things bothering him, then without no doubt he will kick their asses. A giraffes is high yet so low. Being the highest animal on earth, while others are very shorter than him, makes him usually lower his neck. Yes, sticking his neck out for friends. The way I see it, is… no matter how high we are, sometimes we have to be able to low our standards. So we can stick around with others. 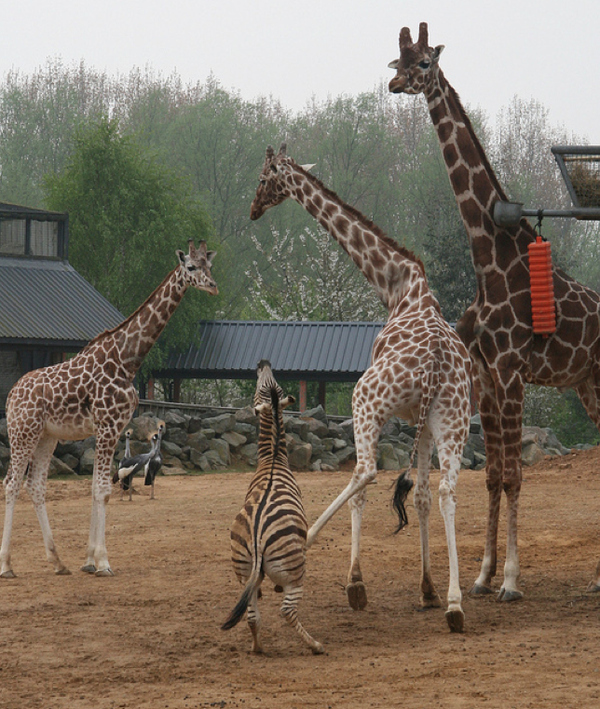 Each giraffe is unique with his long neck and spots pattern that are distinctive to other animals. As a human, we must have an unique character that will distinct us to other human. Because the character is foundation. Those above are some philosophy of giraffes that we can use in our daily life. 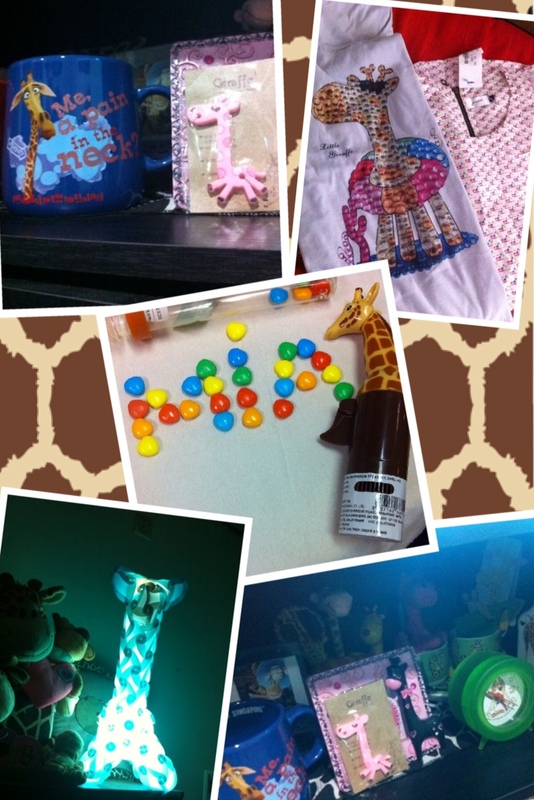 And I’m proud to say that I think I meant to be a big fan of giraffes. 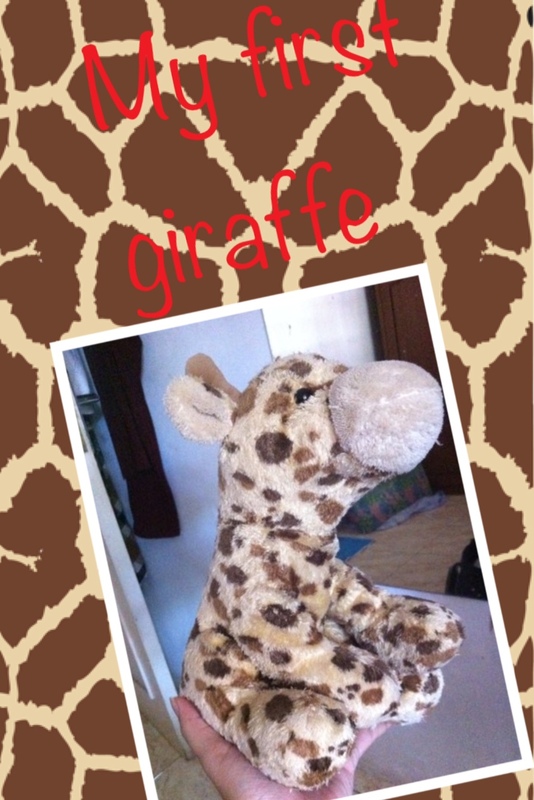 Wherever I go, I always find any cute-giraffe things.